Downloaded: 1 Author: ACD Systems International Inc.
ACDSee 17 – Managing your growing photo collection has never been this easy. And with so many ways to edit your shots like a pro, you’ll be proud to share your best through the cloud and social media. With ACDSee 17, your photos will be the picture of perfection. With more tools to help you organize your photos, perfect your best, and inspire friends and family, ACDSee 17 is the all-in-one solution for your growing collection. Apply a radial gradient to any editing effects to subtly progress across your photo. Create off-center vignette effects or multiple vignetted areas, or draw focus to a specific object. Create as many ACDSee databases as you like, and quickly and easily switch between them. We’ve revamped the look and feel of ACDSee so that your photos are clearly the center of attention – and rightly so. Easily search and filter for photos that have no keywords assigned to them. Working with webP files? 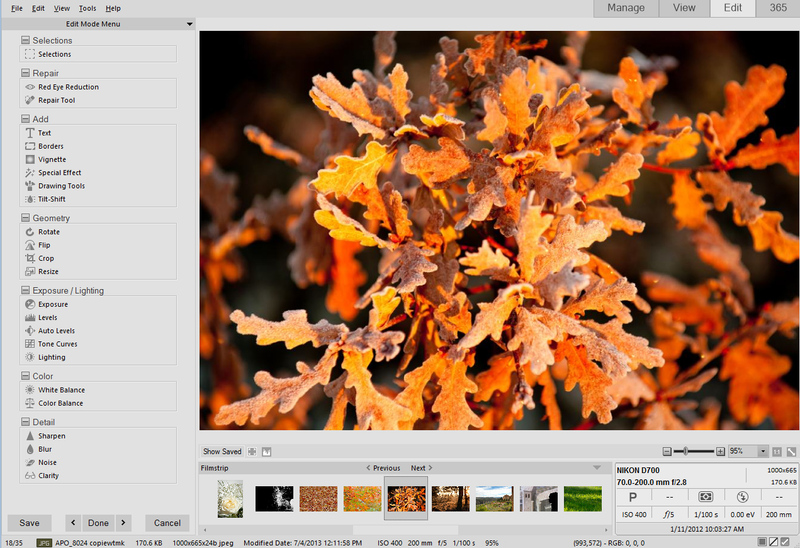 ACDSee supports viewing and converting to this new image format. Conveniently access any metadata function in the new Metadata sub menu via Tools.